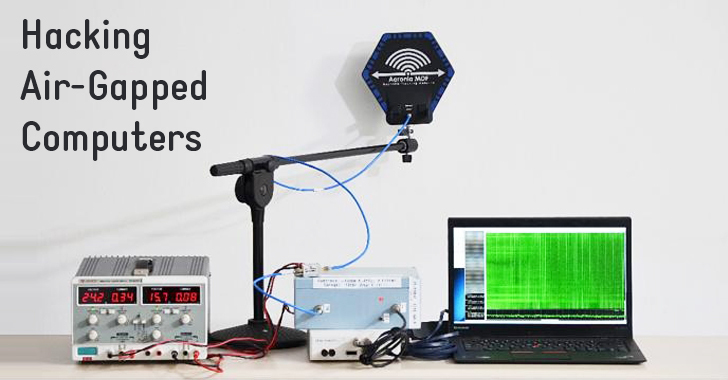 "By measuring the target's electromagnetic emanations, the attack extracts the secret decryption key within seconds, from a target located in an adjacent room across a wall," reads the recently published paper [PDF]. Now, during the decryption of the chosen ciphertext, the researchers measured the EM leakage of the laptop, "focusing on a narrow frequency band." "The experiment...was conducted using a Lenovo 3000 N200 laptops, which exhibit a particularly clear signal," the paper reads. "The attacks are completely non-intrusive: we didn't modify the targets or open their chassis." *Note: When the team says the secret key was obtained in 'seconds', it is the total measurement time, and not how long the time would take for the attack to actually be carried out.